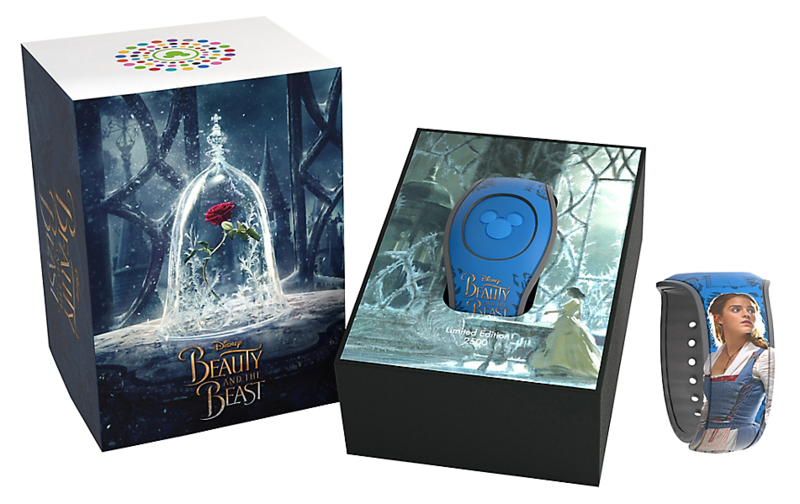 Yes, a third Limited Edition 2500 MagicBand of the live-action movie Beauty and the Beast will be hitting the shelves any day now. This latest one features Belle in her blue peasant dress, with Mrs. Potts, Chip, and Cogsworth on the reverse on a blue base colored band. The beautiful box features the iconic red rose enclosed in glass. This band will be $32.99 and will make special effect lights and sounds at entry touch points. I am unsure when it will be available for sale but it should be in the next few weeks at most is my guess, considering the movie is out in theaters now. The barcode SKU for this item is 400020254726. 14 Responses to "Third LE MagicBand for live action Beauty and the Beast out any day now"
We just checked two shops in Hollywood Studios and Mouse Gears in Epcot but they do not have them yet. We’re going to check Emporium next but does anyone know they’re already in the parks? I’m pretty sure these are not out yet anywhere. You can always give the SKU to a Cast Member and they can look it up in the system for you (if it’s in there). I got mine in Animal Kingdom back in the Dinosaur shop when you first get off the Dinosaur ride. Do you think the special effects will still happen if you use this band in October? 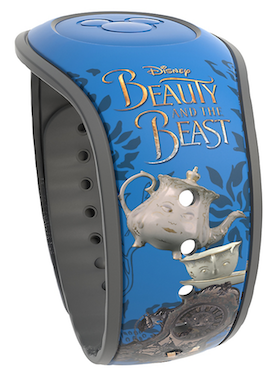 We aren’t going until then and I really want a special Beauty and the Beast band. This is now out on the App and the Disney Store website. This band is now available on the Shop Disney Parks app. Do the special effects for LE bands work “forever”, or only for a limited time? I have purchased one of the Beauty and the Beast bands, but will probably not get to the parks this year. Some of the really old ones still work… but I can’t promise anything. The song it plays for this LE magic band at the Magic Kingdom entry touch point is Be Our Guest. Thank you! Can you possibly get a video of it? I’m going again in a week and I sure can! 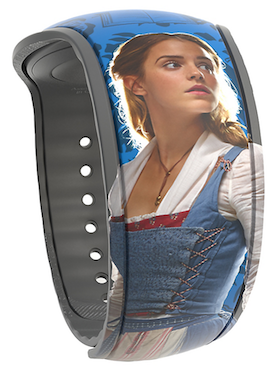 We’ll be able to test out what my daughter’s yellow LE Beauty and the Beast magic band does that day as well! They Still have this Magic Band at Disney Hollywood Studios I see it Today ..